Why MageHost for Managed Magento Hosting? Everything from our latest generation hardware, MageHost software, redundant network has been optimised specifically for Magento and translates to faster page load times. 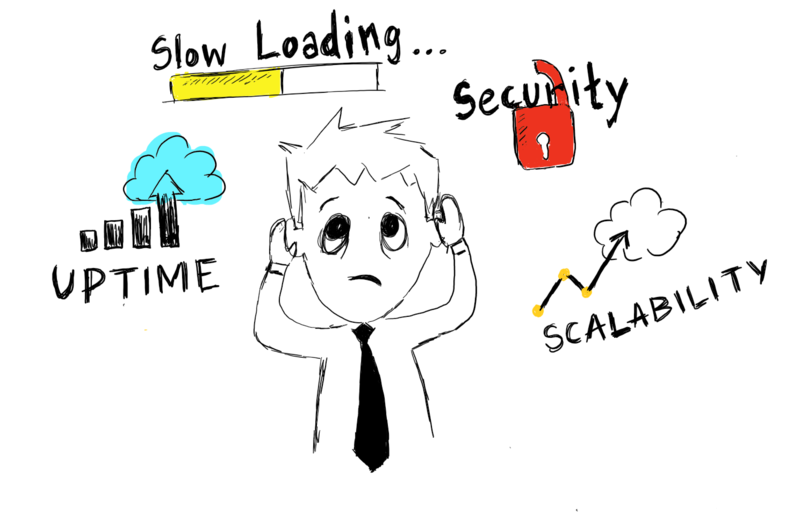 Be it server level caching, database tuning, Magento related optimisations or web-server tweaking, we take care of everything to give you the fastest possible page load time. A faster store means more sales for your business! Server firewalls, malware scanning, and regular updates are just some of the things that help secure your Magento store on infrastructure level. All security best practices related to Magento to avoid brute force password guessing or low level DDoS attacks are put in place beforehand. We also help apply the Magento security patches to avoid any application level security loopholes harm your store. The support that we offer for our managed Magento hosting customers is a comprehensive 360 degree one. Not just hardware or software, but we go one step further to dig down, find, and sometimes fix those code-side pesky issues that slow your site down or lock it up altogether. So we basically fill the annoying gap between developer and server administrator, helping the customer know exactly where the problem is hiding. Premium data centers, Power backups, redundant network, redundant power supplies and RAID protected disks allow us to provide the maximum possible uptime. Daily offsite backups powered by R1Soft CDP help you perform a single file restore, multiple file restore, database restore or Bare Metal Restore. The retention period is 7 days. Our engineers are notified in case of a problem, and will immediately start investigating the issue. Sleep well knowing someone is always looking after your servers. Every plan includes a free staging setup where any changes can be first tested before making them live. This ensures any issues can be checked beforehand avoiding issues with live site. If you have customers across the world, our global CDN is present across 3 continents – so even your most distant customers have uncompromising performance. Why is MageHost not cheap like other Shared Magento hosting providers? A few people feel that MageHost is expensive as compared to some other shared Magento hosting providers. If you want a shared server for $10-20 a month, many hosts offer that. We don’t focus ourselves in that market. That’s just not us. It’s not what we do. We could never be able to provide this level of service and 1:1 consultation for $10-20 a month. But what we can do is promise that we will make up for more than the difference with incredible support from a reliable team along with complete peace of mind.